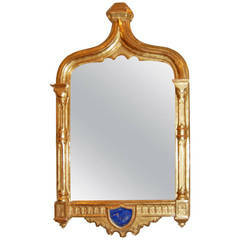 Beautifully carved architectural element most likely a mirror trophy. 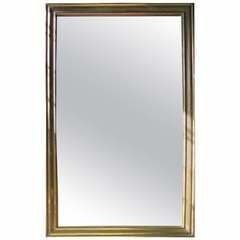 Important and rare bar mirror, from the late nineteenth century, brass frame, mirror and original background in wooden parquet. Two pieces available. 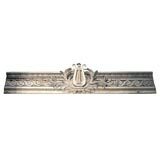 Gilded wooden architectural fragment featuring a scrolled acanthus leaf design. Very detailed hand carving. 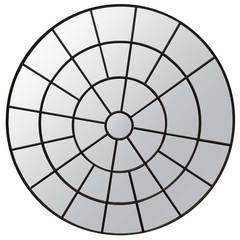 It would make a handsome bed crown or art statement. Secure mounts on back. 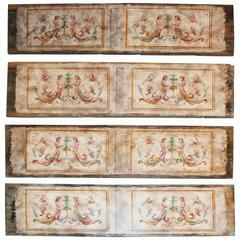 Pair of 19th century giltwood architectural elements. 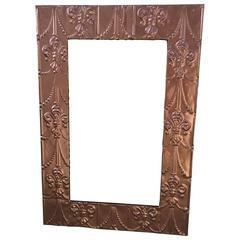 Painted metal wall mirror or it could be used for a cool frame. 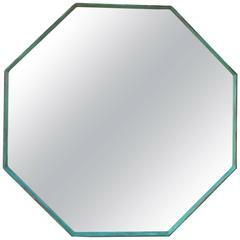 One of a kind hexagon shape bronze mirror, beautiful oxidize patina will look great indoor or outdoor.